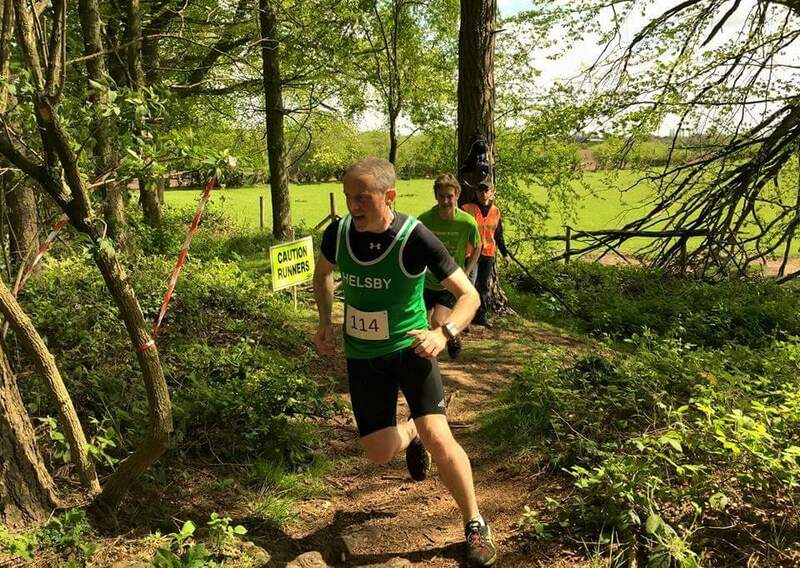 Lots of action this week from road, trail, fell and we also had an ultra thrown in. 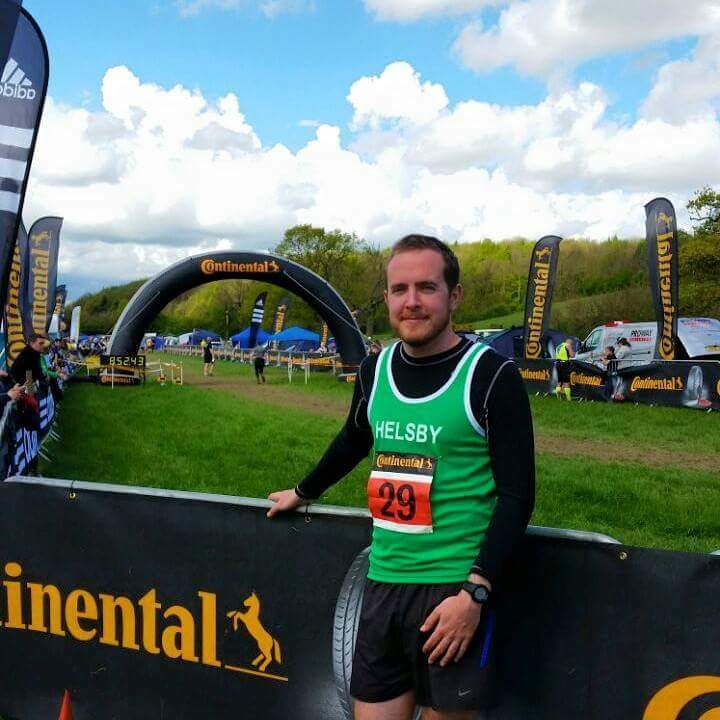 Thank you for all the reports, please keep them coming to helsby-race-reports@outlook.com or it’s unlikely to get into the news. 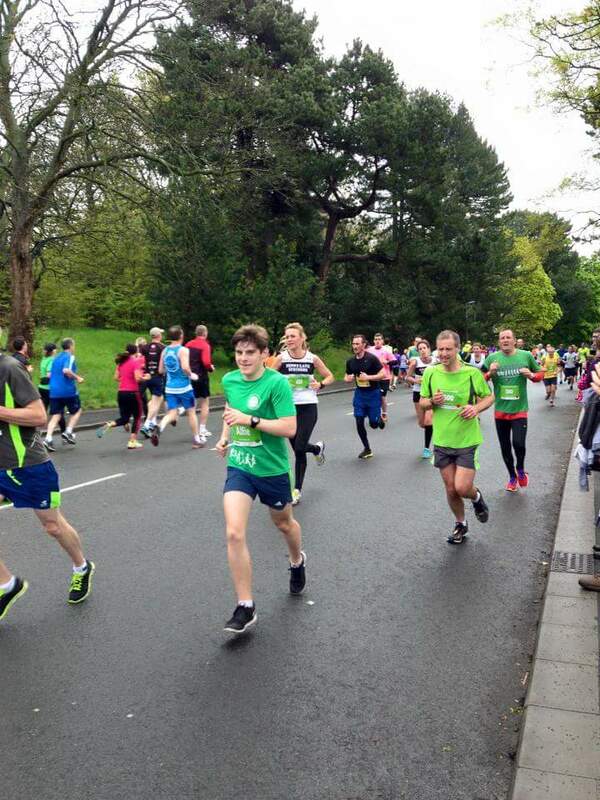 Sunday saw 3 Helsby runners toeing the line in Sefton Park for the Liverpool Spring 10k. Carl Pratt, Alfie Grady and Claire Morton all executing a solid race on an undulating course around the perimeter of Sefton Park. A message from Alfie read “I did the Spring 10k in 46 minutes. Lesson learnt, do more training.” Plenty more to come from you Alfie, well done all. “One of the delights of working up in Cumbria, especially once the lighter nights roll round, is the occasional mid-week fell race in some quiet far flung corner of the Lake District. Wednesday 29th April was just one such occasion and saw me visiting the mountain biking centre in Whinlatter Forest for the Lord’s Seat fell race, the second in the Lord of the Forest series (although I’m not sure how many races are in this series – it may be only two). Arriving a bit later than planned, my warm up seemed to consist of a sprint to the registration desk, a sprint back to the car and then a sprint to the start line with a bit of hasty stretching once there as the start was delayed for a few minutes – not exactly what they teach you on the coaching courses. Great result and report Andy, well done! 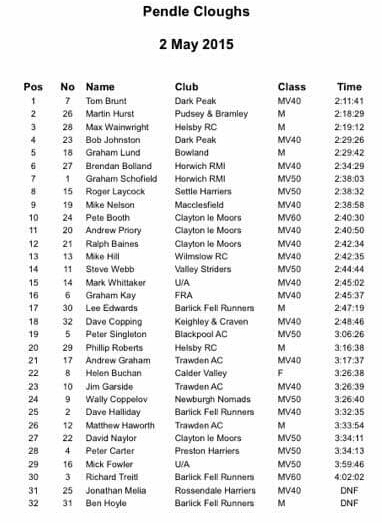 Phil and Max both ran the Pendle Cloughs fell race, no reports for this but results are below. Well done to Max for grabbing 3rd place! Jenny and Tim Palmer both competed in the Llangynhafal Loop fell race. Tim reports that there was lots of wind and rain; nice open fire in the Golden Lion pub afterwards. Well done the Palmers! And last but no means least the results from the weekends parkruns. 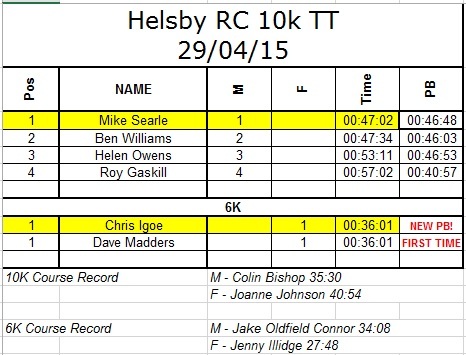 Stand out performances this week belong to Neil Finegan and Carl Pratt for a Helsby 1-2 at Widnes and a PB for Ben. Great stuff guys! Remember it’s the Rainow fell race on Wednesday 6th May and a club counter. Suitable for novices like me! Meet up at the club for those wanting to travel to Rainow, say 5:30/45. Keep an eye on Facebook for travel updates. Tattenhall have confirmed their annual tough team challenge on Friday 19th June, here is the link to the flier ttr2015_entry. Always a popular one with the Green Army, so hopefully a record number of Helsby Teams will take on the challenge this year. We will be sorting out teams over the next few weeks. As a result of this race being confirmed our annual club presentation/celebration evening will be on Friday 12th June – Annual Presentation Evening at the Club House, 8pm. Our annual prize giving for the Summer 2014 Road and Fell Championships and the 2014/2015 Cross Country and Border League Championships plus much more. Followed by a Bring Along Supper and Chris Igoe’s famous and energetic disco. AGM on Wednesday May 13th following our club run, 8:30 in the club house. It’s a time to reflect the highlights of the past year (hopefully no low lights) and set the scene for the coming year. Please come along and share your ideas and thoughts for running (and much more) with Helsby Running Club in 2015/2106 and let’s try and make it happen!